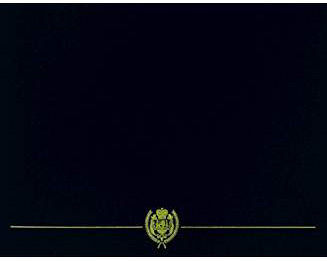 An unaltered photocopy of your DD-214 or other military issued document clearly displaying your award of the Coast Guard Meritorious Team Commendation. Authorized on 22 December 1993 and awarded by the Commandant and subordinate awarding authorities to groups or teams which do not constitute a Coast Guard unit. To justify this award, individual members of these groups must have performed service, which made a significant contribution to the groups overall outstanding accomplishment of a study, process, mission, etc. The service performed as a group or team must be of a character comparable to that which would merit the award of the Commandants Letter of Commendation or higher to an individual. 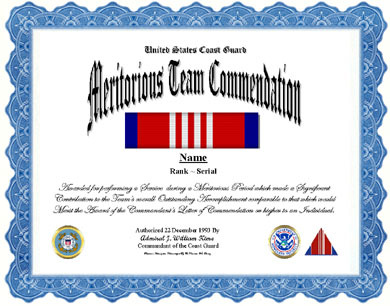 To receive this award, eligible personnel must have served on a team or group for the entire meritorious period and made a significant contribution to the overall accomplishment.